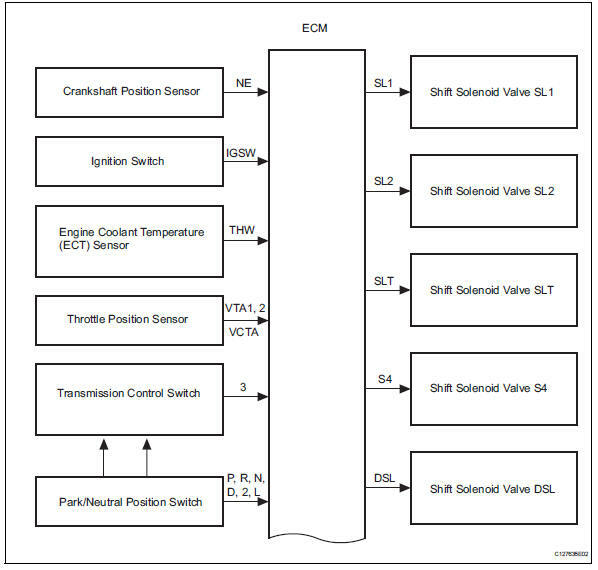 The configuration of the electronic control system in the u140f automatic transaxle is as shown in the following chart. 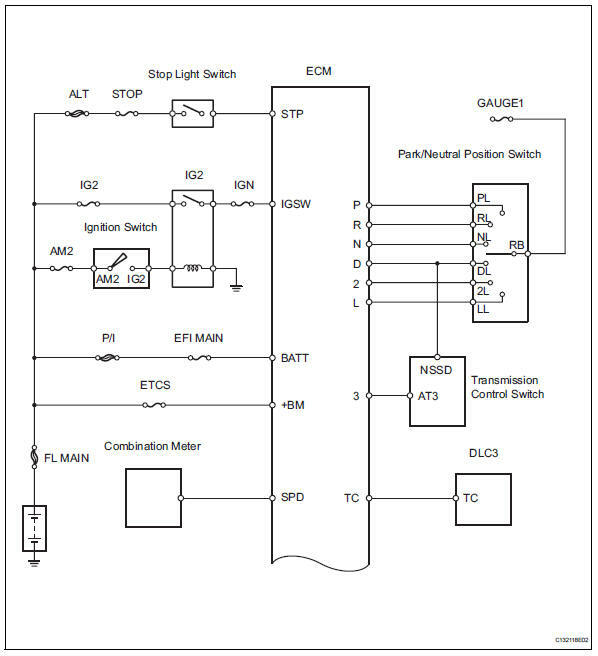 The electronic controlled automatic transaxle (ect) is an automatic transaxle that electronically controls shift timing using the engine control module (ecm). 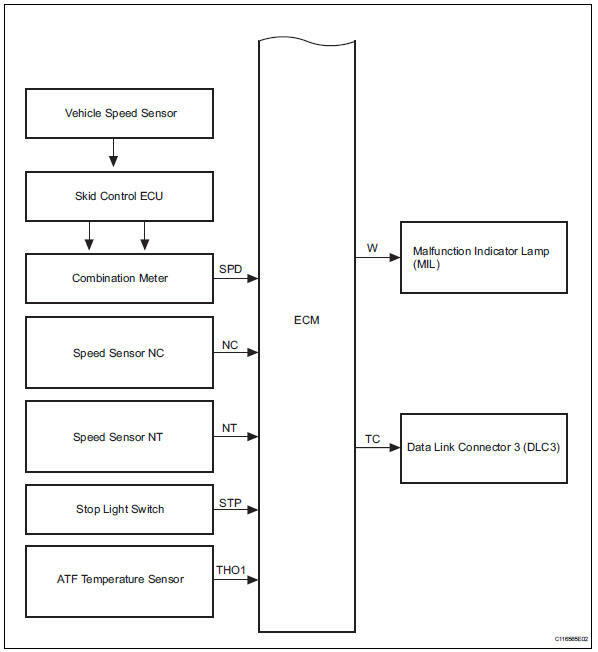 The ecm detects electrical signals that indicate engine and driving conditions, and controls the shift point based on driver habits and road conditions. As a result, fuel efficiency and power transaxle performance are improved. Shift shock is reduced by controlling the engine and transaxle simultaneously. Fail-safe function when a malfunction occurs. The ecm of this system is connected to the can and multiplex communication system. Therefore, before starting troubleshooting, make sure to check that there is no trouble in the can and multiplex communication systems. Refer to the dtc check / clear (see page ax-29). Refer to the check mode procedure (see page ax-30). Refer to the road test (see page ax-12). 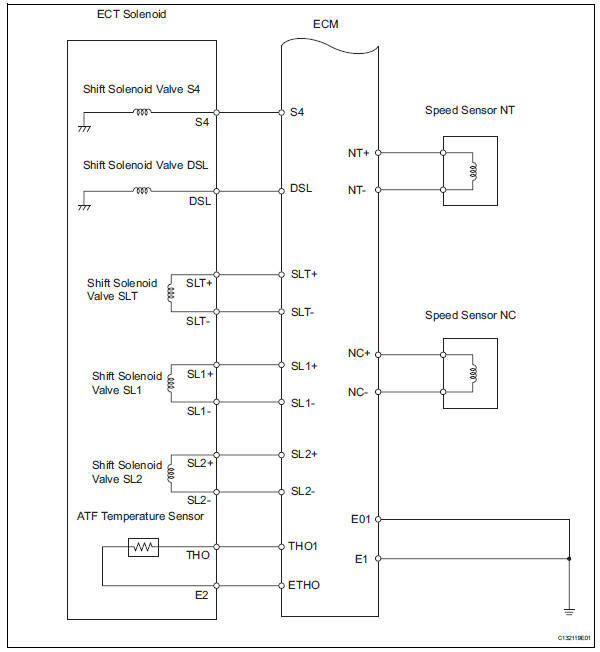 Refer to the electronic circuit inspection procedure (see page in-37). Refer to the automatic transmission fluid (see page ax-102). Refer to the park/neutral position switch (see page ax-108). 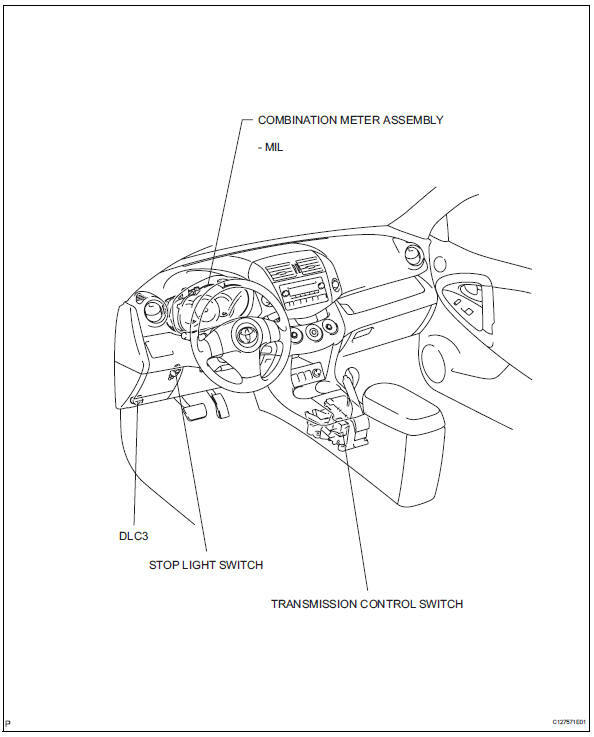 Refer to the floor shift assembly (see page ax- 136). Refer to the mechanical system tests (see page ax-15). Refer to the hydraulic test (see page ax-16). 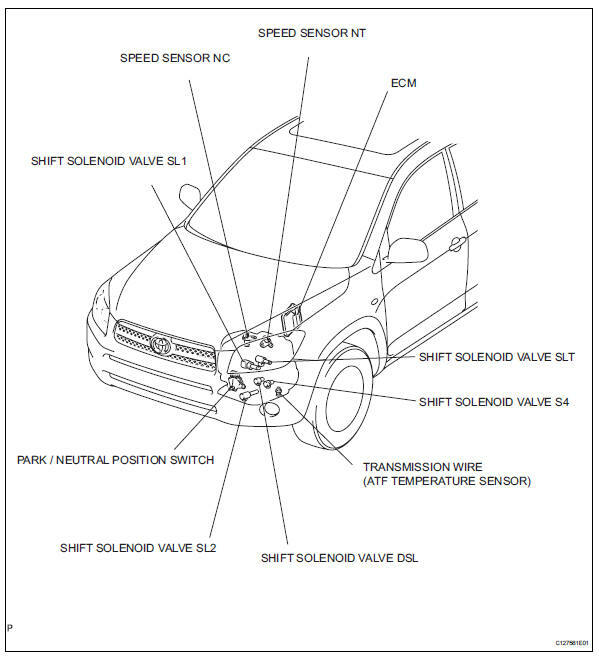 Refer to the manual shifting test (see page ax- 17). Refer to the problem symptoms table (see page ax-21). Refer to the diagnostic trouble code chart (see page ax-35).